I shall look first at those groups centred around the London Vegetarian Society, and particularly around its chairman Arnold Hills. Hills was a wealthy manufacturer and owner of the Thames Iron Works, one of the leading shipbuilders of the 1890's, and his background was thus far from typical of vegetarianism. (1) He was active in a number of philanthropic schemes among his workforce and more generally in Canning Town. 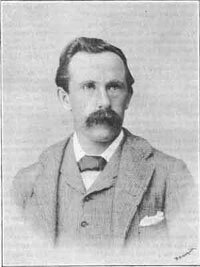 (2) A conservative and a strong opponent of the unions, he was involved in a long conflict, leading to a strike, over unionisation, though he subsequently instituted a profit-sharing scheme. Though the nineties were for the company a period of great prosperity, decline set in through the general movement of shipbuilding away from the Thames, and the works were closed in 1911. Hills was a great benefactor of the vegetarian cause, playing a similar role to that of Simpson, and this, together with his impulsive and enthusiastic character, enabled him to dominate the London Vegetarian Society. Hills was particularly interested in the virtues of raw food, and his Vital Food in which he argued that uncooked food has certain living qualities conducive to health and spiritual well-being, is one of the early examples of what was to become a major theme in vegetarian tradition. (3) The Salford vegetarians by contrast had placed little emphasis on rawness, though it was strongly favoured at the Concordium. 20. ARNOLD HILLS: 1857-1927. Educated at Harrow and Oxford, a J.P. and member - though most unorthodox - of the Church of England. Forward includes accounts of Hill's activities, and also pictures of the lavish interior of his house, used for gatherings of the society. He funded a publishing house, The Ideal Publishing Union, which printed vegetarian and related books, and a hospital. From 1906 he was increasingly crippled - eventually totally - by arthritis - See DNB and obituaries in The Times, 8th March, 1927, Vegetarian News, April 1927, p89 and Vegetarian Messenger, April 1927, p66. 21. Including the founding of West Ham Football Club. See Donald McDougall, Fifty Years a Borough: The Story of West Ham, 1936; also MS notes in Stratford Borough Library. 22. See his Vital Food, 1892, Reaction (A Speculation), 1894, Vegetarian Essays, 1897. For Hills, this was part of a wider philosophy involving a concept of the universe as essence and energy; vital food enabled the accumulation of this within the body. 23. Forward expressed concern that their 'teachings were propagated mostly by men of intellectual mould, many of whom, from their temperaments and occupations in life, not presenting the robust and plethoric condition which is looked upon by so many people as a sure sign of good sound health.' Fifty Years, p152. 24. The Akreophagist Cycling Club was founded in 1881, succeeded by the Vegetarian Cycling Club, some of whose members held world records. See Forward, p154-61 for details and photographs. See also Henry Light's Athletics, Endurance and Stamina, Manchester, nd. Light was for many years the captain of the cycling club. (For his role in such publicity, see his obituary, VM, Aug 1934, p262) The Best Food for Athletes, published by the Northern Heights Vegetarian Society, 1895, contains Dr Allinson's recommendations for a training regime. Allinson, like Eustace Miles, believed that vegetarianism was a positive advantage in endurance sports; and George Allen, the long distance walker, and. later member of Whiteway Community, put forward a similar view in his From Land's End to John O'Groats, 1905. Henry Pitman - Isaac's brother - gave another example of endurance and longevity, when at the age of eighty three he arrived at the vegetarian Summer School in Aldeburgh, having cycled over 180 miles from Pershore. (VM, Oct 1935, p333). 26. See The Lancet, Oct 1884, p701. 27. See his The Advantages of Vegetarian Diet, reprinted by the London Vegetarian Society, nd; he includes the range of arguments. Despite their advocacy, the diet has not been widely influential in the Army. See also H.B.A., The Drink Problem: Thoughts Towards a Solution, 1903. 28. VN, May 1927, p130. 29. Under the title 'Bitter Cry Answered', the Food Reform Magazine, of Jan/Mar 1884, p85, gives an account of a dinner held for forty cabmen and their wives, the experiment was repeated several times. Two conferences were held in Manchester by the Vegetarian Society to demonstrate how an adequate school dinner could be provided for ¼d. Cheap Dinners for School Children, ed. W.E.A. Axon, Manchester 1887. 30. 1884; RE. O'Callaghan, 1889. 31. Vegetarian Review, Sept 1895. Hills and Miss May Yates were behind the scheme. 32. Who saw vegetarianism as relevant to all and not just the poor, and who objected to such a patronising approach. Today, Nov. 1886, pl72. 33. The prophet Daniel was believed to have been a vegetarian. 34. T.W. RICHARDSON: later Lt.Col. a life-long vegetarian and teetotaller. President of London Diet Reform Society. The group survived, at least in the form of the Danielite Star, which he subsidised, until his death in 1930. See Danielite Star, brief history bound at the back of Vol I; and also Forward p77. 35. The society was organised into Gardens and Groves with officers with titles like Senior Gardener. 36. 'In the beginning God created man to live forever, for no sentence of death had been passed upon him. The food given to him by his Allwise Creator to enable him to keep his body in perpetual life, undiminished activity and supreme happiness, was living fruit and seed, for the art of destroying the life of the fruit by fire (cookery) was doubtless then unknown. His death was the result of his own action - still he lived 930 years. His descendants, with few exceptions, instead of lengthening their days, or possibly regaining immortality, continued to increase in evil doing and consequently, in shortening their days. The contrast between the delicious living food given by God, and the dead carcasses fallen depraved man delights in devouring, is enough to account for man's days being only a paltry "three score and ten".' Note the living uncooked food, and the belief that man's true life span has been drastically curtailed, and even that he has lost immortality. Book of Rules or Constitution of the Order of Danielites, 1898. 37. The Danielite Star: Heaven's Light Our Guide, published from 1887 to 1930. 38. Vegetarianism turns up as a topic for discussion groups there See M. Jones Bolsteri, The Early Community at Bedford Park, 1977. For 'Queen Anne' see M. Girouard Sweetness and Light, Oxford,1977.